SAN ANTONIO - Recently, as part of KSAT's San Antonio Questions project, a viewer reached out to us wanting to know if San Antonio's water was federally in compliance and wanted an explanation on an Environmental Working Group report. KSAT reporter Sarah Acosta interviewed a SAWS official to get some answers. Lead, copper and uranium are all contaminants that are tested for in our water that you'll find in various water reports. Many agencies or utilities do their own reports, including the San Antonio Water System, state and federal agencies and nonprofits. SAWS tests local water to make sure it's in compliance with the Environmental Protection Agency Safe Water Act. “We test our drinking water over 7,000 times every year,” said Anne Hayden, communications manager for SAWS. When you read these reports, including SAWS Water Quality report, the chemicals listed can be alarming, including radioactive contaminants such as uranium. But as Hayden explained, water, even bottled water, will always have contaminants even when federally tested. She said when we see the list of contaminants on water quality reports, it doesn't necessarily indicate that the water poses a health risk. The numbers listed aren’t an average, Hayden said. “We are required to show the highest reading at anytime,” she said. Hayden said the numbers you see on the report are measured in parts per million, some in parts per billion. Most are so small, they are not detectable. The nonprofit Environmental Working Group manages a database that collects local water reports and EPA reports. If you look up San Antonio water on EWG’s website, it says there are nine contaminants detected above health guidelines. Hayden said EWG’s guidelines are much stricter than the federal guidelines. “Those are showing above their level of what they think is safe,” Hayden said. 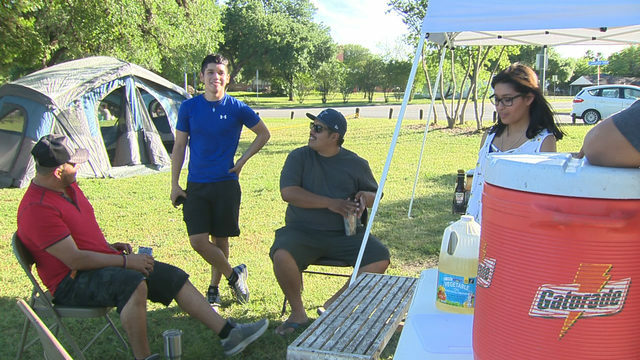 When KSAT reached out to the EWG, workers directed us to the group's website that explains its health guidelines come from its own research and go above the federal requirements. She recommends when reading water quality reports to take them with a grain of salt and said SAWS works very hard to maintain its water quality. “We live here, our families live here, so we want to make sure they are safe as well,” Hayden said. To keep SAWS in check, the Texas Commission Environmental Quality acts as a third party and will audit the city’s water every couple of years to make sure it is in compliance with the EPA. To see the latest report, click here.